Once again I find myself back at the Catahoula hotel living out my bohemian party dreams! 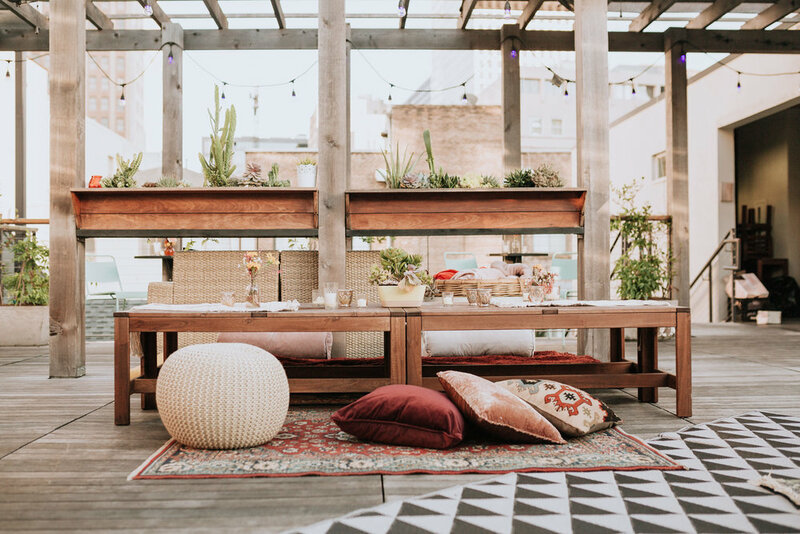 Nice Day outdid themselves with the decor and florals for this bohemian themed birthday party for fashion blogger Dashing Darlin. If you’re ever looking for a quaint, chic location to host a party or wedding, the Catahoula hotel is your place!